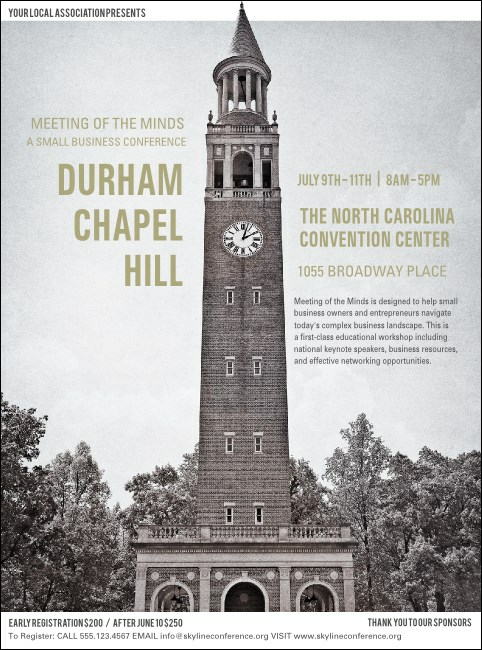 Celebrate the University of North Carolina with the Chapel Hill Flyer. Featuring a beautiful image of the Morehead Patterson Bell Tower, with lush trees around. Whether you're hosting a concert, fundraiser, or conference, the Durham Chapel Hill Flyer will help you spread the word around the triangle. Find the right flyer for every Tar Heel occasion at TicketPrinting.com!